Switzerland was one of 44 governments and organisations to agree to the principles 20 years ago. The stated goal was to uncover Nazi-looted art in their collections and seek “just and fair solutions” with the heirs of the original Jewish owners. 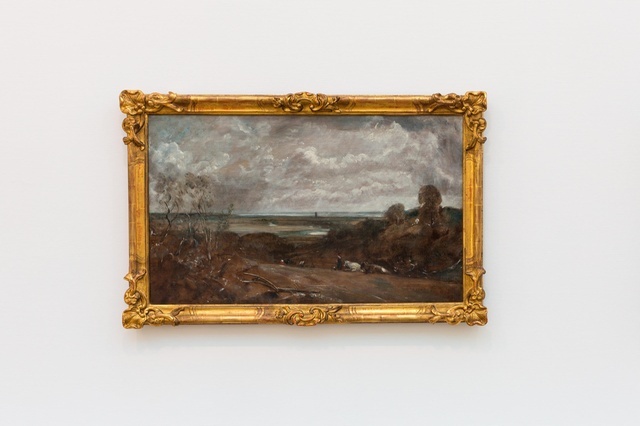 Alain Monteagle fought for more than a decade to recover his family’s painting by the British artist John Constable from the Musée des Beaux Arts in La Chaux-de-Fonds, a small city in Switzerland’s Jura mountains near the French border. “Dedham from Langham” had been looted from the Nice home of his Jewish great-great-aunt, Anna Jaffé, after her death in 1942 – along with everything else she owned. The La Chaux-de-Fonds museum received it as part of a bequest. When Monteagle first approached city officials, they refused to relinquish it, even while acknowledging it was stolen. Ronald Lauder, the president of the World Jewish Congress, in 2016 described this response as showing “a troubling lack of shame”. The non-binding Washington Principles, which Switzerland endorsed in 1998, were designed to prevent exactly this kind of scenario. Governments agreed to encourage museums to conduct provenance research on their collections, identify art seized by the Nazis, and seek “just and fair solutions” with the original Jewish collectors and their heirs on stolen works. Swiss officials are among the attendees at a conference in Berlin from November 26-28 (live stream)external link to mark the 20th anniversary and examine international achievements so far and what remains to be done. In Switzerland, attitudes are changing, says Nina Zimmer, the director of the Kunstmuseum (Fine Arts Museum) in Bern. The subject of Nazi-looted art has repeatedly grabbed headlines; in recent times with Cornelius Gurlitt’s bequest to the fine arts museum – a controversial gift that Bern hesitated to accept. Gurlitt’s father worked as a dealer for the Nazis and the hoard of art in Cornelius’s Munich and Salzburg homes included works that were stolen or purchased at low prices from Jews forced to leave Nazi Germany. 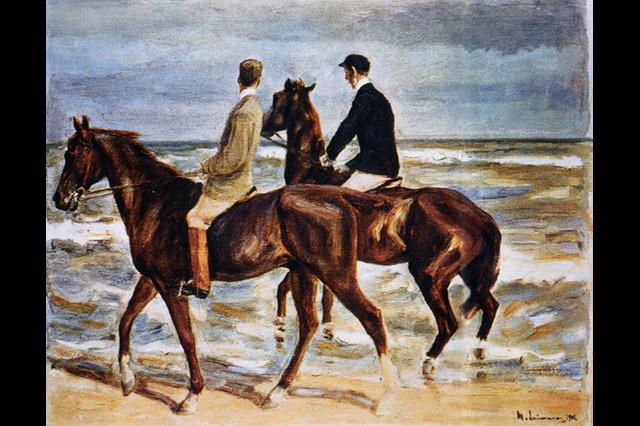 Paintings by Henri Matisse and Max Liebermann ("Two Riders on the Beach", 1901, pictured above) are among the works that have so far been restituted from the Gurlitt hoard. The focus on Bern has helped raise awareness, Zimmer says. Among the problems in the past, she says, have been a shortage of funding and a lack of expertise. Another stumbling block has been the art market, with dealers resistant to opening up their archives for research, says Thomas Buomberger, a historian and the author of a book about Nazi art looting and Switzerland. Swiss institutions have now addressed the first two of these issues to at least some extent: the Kunstmuseum is working with Bern University to train young provenance researchers, and the Swiss government in 2016 made funding for provenance research available to museums for the first time. The Swiss Federal Office for Culture has allocated CHF2 million ($2.01 million) for provenance research in museums from 2016 to 2020. Museums must apply on a project basis and must match the sum they receive from independent sources. The maximum amount awarded per project is 100,000 Swiss francs. It announced the latest batch of funding for 14 provenance research projects on Nov. 19 – among the museums to receive maximum grants are the Kunstmuseum in Bern, the Kunstmuseum Basel and the Fondation Beyeler. The first 12 projects from 2016-2018 have been largely completed and the results published, according to the office. Benno Widmer, head of the museums and collections department, says demand for the funding has been high, suggesting museums are increasingly taking responsibility. Marc-André Renold, a professor of art law at the University of Geneva and the lawyer who represented Monteagle against La Chaux-de-Fonds in the Constable case, points to another community in French-speaking Switzerland as an example of how attitudes have shifted in the past ten years. 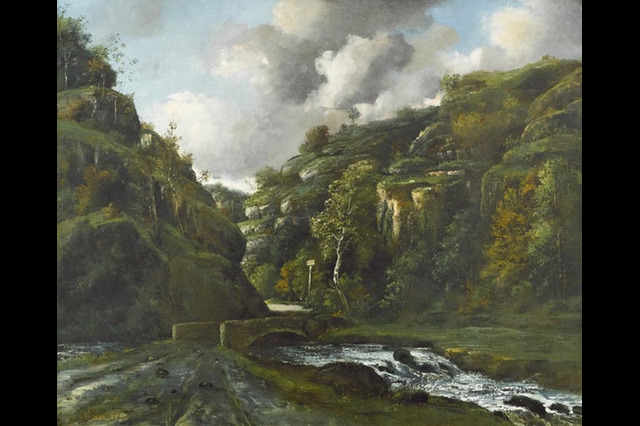 The Canton of Jura received a painting by Gustave Courbet, a Jura landscape valued at about CHF300,000, as a bequest in 2015. It wasn’t listed in the official catalogue of the artist’s work, and when cantonal authorities discovered that the donor’s father may have purchased the painting in Düsseldorf in 1939, alarm bells sounded. The cantonal government commissioned an expert report to examine provenance and authenticity. 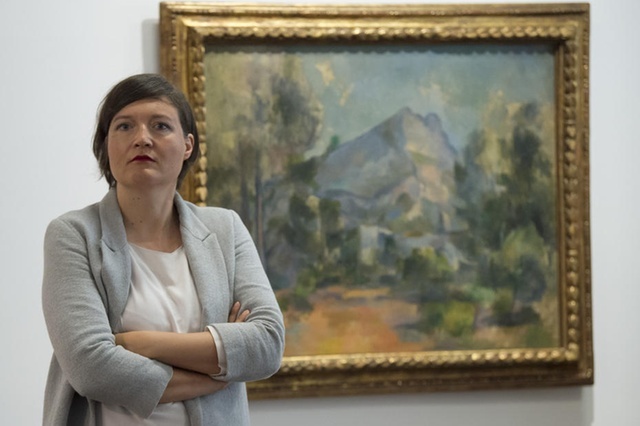 When no evidence was found that the painting was looted, officials handed the landscape to the Musée jurassien d’art et d’histoire at Delémont, on the understanding that if it was later found to be stolen, it would be restituted. They published their report online. France, Germany, Austria, the Netherlands and the United Kingdom all set up government-appointed panels to issue recommendations on disputed artworks. Swedish museums this year asked the government to establish a similar commission. Yet Switzerland has never done so. Widmer at the federal office says the question was raised in parliament, but the government responded that there were not enough cases to make such a panel worthwhile. Nonetheless, Renold says, such a panel would be helpful in cases such as Monteagle’s Constable. And like Monteagle, some claimants have been kept waiting years. Ten years ago, the Basel Kunstmuseum rejected a claim by the heirs of Curt Glaser for more than 100 artworks in its collection, including pieces by Henri Matisse, Marc Chagall and Edvard Munch. The city’s art commission agreed last year to review the decision; it has yet to announce the results of that review. 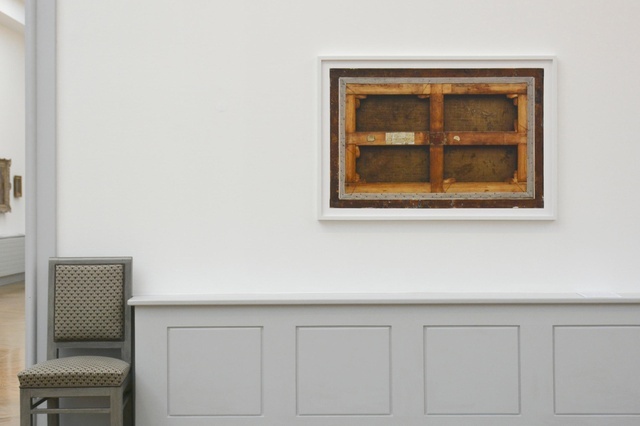 Part of the reason Switzerland has been slow to apply the principles may be that it wasn’t a combatant in the Second World War, says Olaf Ossmann, a Switzerland-based lawyer who handles looted art cases. “In the Swiss view, Switzerland did not even take part in the war, so why should they solve the Germans’ problems?” he asks. Ossmann says some dealers and collectors were unhappy that the Bern Kunstmuseum accepted Gurlitt’s controversial bequest. Provenance research on the Gurlitt collection was first carried out in Germany, and “they were concerned that German standards of provenance research and restitution would now be applied to Switzerland,” he says. One distinction between the German and Swiss approach to Nazi-looted art has been partly linguistic: in Switzerland, the term “Fluchtgut” or “flight assets” has long been used to describe art sold by Jews to fund their escape from Nazi Germany or to start a new life elsewhere after losing the rest of their possessions, their homes and their livelihoods. In Germany, the term “art lost to persecution” covers these and other forced sales or sales under duress. Swiss museums have traditionally rejected claims for “Fluchtgut”. But in April, the culture office issued a glossary reminding museums and collectors that “Fluchtgut” is not an internationally recognised concept and is “open to different interpretations”. Every case must be judged individually on its own merits, and claims for “Fluchtgut” may also be justified, the office said. The Washington Principles were never designed to cover private collectors, and the means at claimants’ disposal to recover Nazi-looted art in private collections remains limited. If they go to court, claims usually fail because of statutes of limitation. But increasingly, private collectors internationally are growing aware of the difficulties of selling or exhibiting works with unclear provenance – and as a wealthy country, Switzerland has a lot of collectors. And if they do choose to keep illicitly acquired goods, collectors have Swiss freeports at their disposal to hide them. Ossmann describes them as “a huge black hole in a world where everything is moving towards greater transparency”. Chris Marinello, a London-based lawyer for the heirs of Paul Rosenberg, is seeking a Degas pastel, “Portrait of Mlle. Gabrielle Diot,” that was looted by the Nazis from the home of the legendary Parisian art dealer after he had fled occupied France with his family. The pastel was purchased by a Swiss family in 1942, then changed hands again in 1974. Marinello says its last known location is a storage centre in Basel, where it was spotted in 2003. He has been working with a Swiss lawyer to try to find and freeze the picture, but hasn’t so far been able to trace the current holder or the exact location. The Rosenbergs are still seeking 60 artworks in total.